Public enterprise reforms are espoused in Government's Transitional Stabilisation Programme (TSP), an economic blueprint that advances President Mnangagwa's Vision 2030 of turning Zimbabwe into an upper middle income economy. Briefing journalists after yesterday's Cabinet meeting, Prof Ncube said Government was working on finding a transaction advisor who will evaluate the entities' assets, formulate a strategy in terms of earning projections and shareholding levels. He said Government will not have less than 40 percent equity in the two companies. "We do realise that the two companies are joined at the hip and they rely on each other and make a whole when they are together," he said. 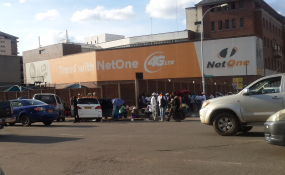 "If that was considered as such, they will be well positioned to compete with competitors such as Econet within the market. What Cabinet then decided to agree on today was basically to conclude the issue of a transaction advisor for TelOne and NetOne. In doing so we have to ensure that they are offered as a package together. It is a joint offering to an investor. Government will get better value for money if these are offloaded together as a package." "As we do so, we think that Government should not have less than 40 percent equity in the two companies," he said. "That is what we are targeting but of course we are always free to negotiate with investors. We are going to make progress on this and will keep you updated as we work with transaction advisors in terms of which suitors have been shortlisted and tell you who they are." Said Prof Mthuli: "PWC went through a process of selection for transaction advisors for TelOne. They are about to sign a contract to that effect but given that we want to offer the two as a package it will be a good idea to find a process that will enable them to also advise on the NetOne side of the transaction so that we have one transaction advisor advising across the two assets."